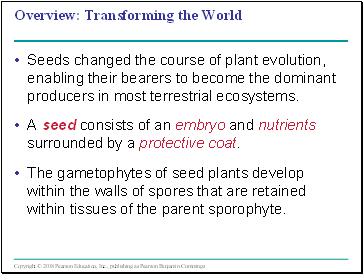 Seeds changed the course of plant evolution, enabling their bearers to become the dominant producers in most terrestrial ecosystems. A seed consists of an embryo and nutrients surrounded by a protective coat. 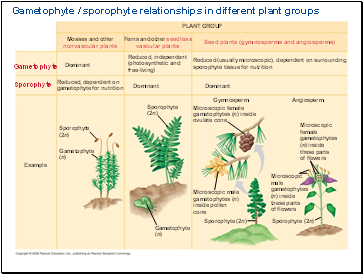 The gametophytes of seed plants develop within the walls of spores that are retained within tissues of the parent sporophyte. 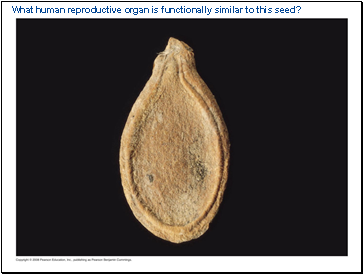 What human reproductive organ is functionally similar to this seed? The ancestors of seed plants were likely homosporous, while seed plants are heterosporous. Megasporangia produce megaspores that give rise to female gametophytes. 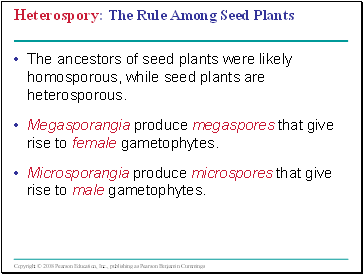 Microsporangia produce microspores that give rise to male gametophytes. 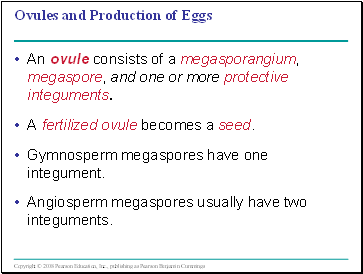 An ovule consists of a megasporangium, megaspore, and one or more protective integuments. 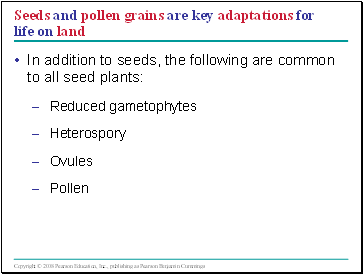 A fertilized ovule becomes a seed. Gymnosperm megaspores have one integument. Angiosperm megaspores usually have two integuments.